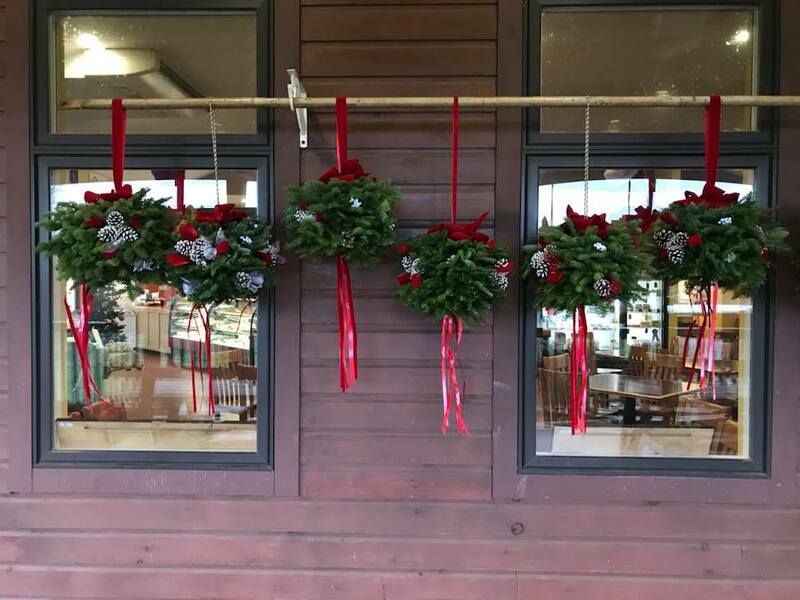 Stop by Barstow’s to select your perfect holiday wreath, kissing ball, or porch decoration to brighten your home and get in the spirit! 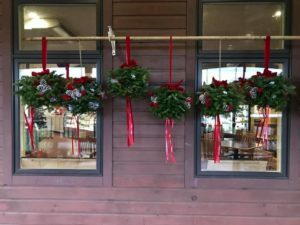 Our wreaths, kissing balls, log boxes, and holiday pots are grown and designed at Silvery Moon Farm in Bernardston, MA. Silvery Moon Farm is a small family business. Their family collects only the best greens and plants for all their wreaths and decorations from their 350 acres. All of their products are hand made using only the finest freshest materials. Enjoy their balsam wreaths, finely crafted and they smell divine! Perfect for the front door of your home. Kissing balls swing joyously in the breeze and dress up any porch for the holidays. Log boxes and holiday pots make for a warm welcome at your front stoop. Wreaths and kissing balls make great gifts for holiday hosts and hostesses! Whatever holiday green you pick out at Barstow’s, you can rest assured that your purchase is supporting local farmers who prioritize keeping land undeveloped, healthy, and whole!